51. 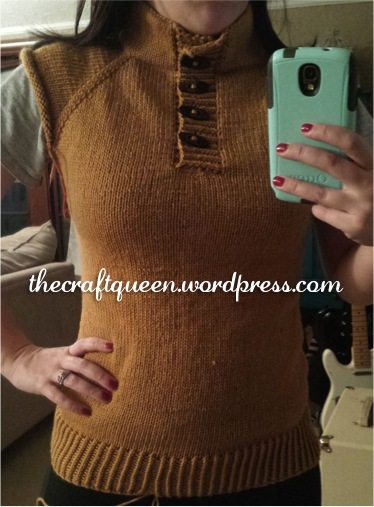 Knitting: Sweater update and sneak peak at a new pattern! I mentioned yesterday that I got a bit further on the sweater I’ve been working on, and I think it’s coming along pretty nicely. I’ve also been brainstorming ideas for other patterns since I need to figure out a way to make a bit of extra money. I’ve been on a gingham kick lately. I’m obsessed with anything that has the print! 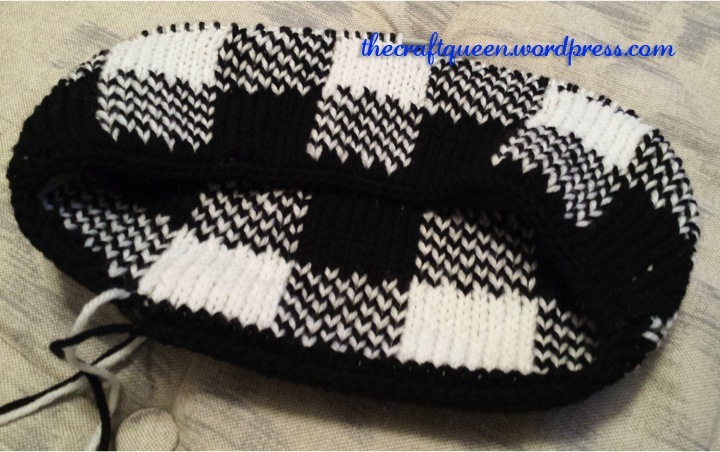 I thought a cowl/neckwarmer would be adorable in black and white, which I just so happened to have in my yarn cabinet. I started working on it yesterday, deciding to do it in double-knit so it’s completely reversible. Super awesome sneak peak photos! I’m really excited about the results so far. I can’t wait to get it finished and photographed for the written pattern! Remember to follow me to see all my latest posts, and don’t forget to share me with your friends! This entry was posted in Knitting and tagged cowl, diy, gingham, how to, knitting, neckwarmer, pattern, scarf, sweater. Bookmark the permalink. ← 50. Let’s revisit January! Your gingham knit looks great! I’d love to see the what the reverse side ends up looking like, and to see the pattern too. How many strands do you have going to make it work out? I’d like to see a knit gingham blanket, but I wonder if it would be too messy for a blanket. What are your thoughts? Oops! I just saw your pattern link! Thanks for making it free. If it’s double knit, then the other side will look great for a blanket :). Now to see if my aunt likes double knitting, or if I do enough to make the blanket happen. I’m thinking a pink gingham with hearts in some of the heart squares. 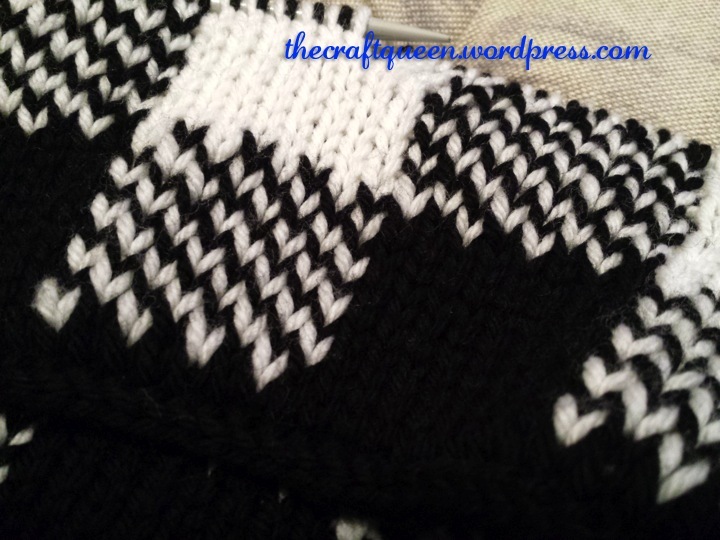 My other idea is to make it easier and simulate the gingham by alternating purl, seed stitch and knit. No worries, I would have just reposted the link for you! Pink gingham would be adorable, and it would be fairly easy to color in the squares you want for the hearts in order to alter the pattern for that. Let me know if you need any help, I’d be happy to come up with a new stitch chart for you!